1. 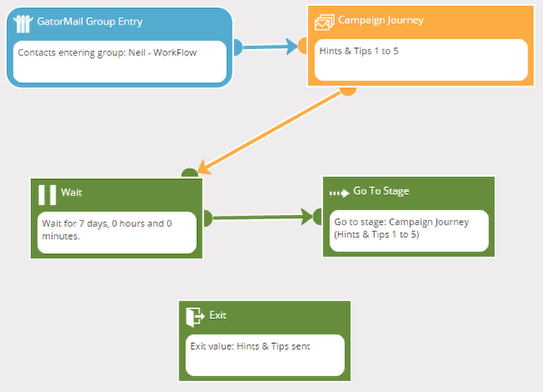 Create a new Workflow and save it with your full name EX4 e.g. Elliott Palmer EX4. NOTE: You will return to this stage later in order to assign a completion stage. 1. Drag and drop an exit stage on to the canvas. Do not assign an exit value and ok the stage. Note: It is optional to supply an exit value, it is recommended only to do so if required. 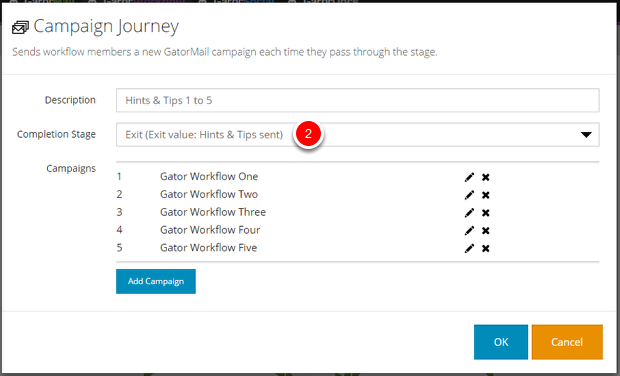 Note: A campaign journey requires a completion stage, this could be an exit as in this exercise, however you could use a notification or add contacts to a group.